Ladyboss Lean® is a meal replacement protein shake, not a weight loss pill. I have used lots of protein shakes (Herbalife, Biotrust, FitMiss, Perfect Keto etc) in my life but never wrote any reviews! This is the first time I’m writing a review of a protein shake without trying it first. It is easier to write professional reviews of pills & supplements based on disclosed ingredients. Writing reviews of protein shake isn’t easy if you don’t use it personally.Some people like vanilla flavor, but I don’t. I loved mixing Herbalife mango & chocolate protein powder, but some may not like it. I bought a Strawberry flavored cheap protein powder from local shop but thrown to dustbin after first use because it tasted horrible. ‘Taste’ is highly subjective to each individuals. Ladyboss is a fitness & nutrition company started by fitness book author Kaelin Tuell Poulin. I don’t know the real men behind this company, but Ms. Poulin is the front face. She built massive followers through Facebbok, Instagram and Youtube. She responds to potential customers on Facebook, but ignores real customers questions and concerns when contacted through support desk! Ms. Poulin authored a book titled ‘Big Fat Lies’ which has received good reviews on Amazon. Around 85% readers have left 5-star rating for the book. You should also read 1-star or 2-star rated feedback to get glimpse of her book. When you visit Ladyboss website you’ll be offered a free 7-day membership to her online program. You must provide credit card number before enrolling into free course. The online membership gives you diet plan and exercise program to follow. Kaelin Pouline manages several Facebook pages and groups which gives free weight loss and fitness tips. Through facebook, she sells her 65-pound weight story and entices people to join her online Ladyboss membership. Moreover, LadyBoss products are heavily advertised towards women on Facebook. 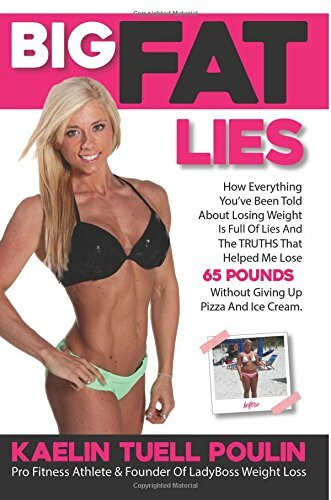 In her book ‘Big Fat Lies’ Ms. Poulin claimed that she lost 65 pounds in 7 months without any pills or supplements while eating pizza and ice-cream. However, she almost force you to buy her diet pills and supplements. She makes you buy 3-4 product through upsells and cross sells! In other words, you will be forced to try few of these supplements though upsells, cross-sells and deceptive free trial offer. The whole package can cost whopping $200 per month, and sometimes more if you are not careful! Lady Boss Burn contains 54 ingredients in a proprietary formula. Proprietary formula means ‘hiding supplement facts’ so others can’t copycat (?) Not a bad idea! Below is the short overview of primary ingredients. One problem that many have with meal replacement shakes is the fact that all of them are not palatable. It is difficult to stay on track and eat the right things if they are not very tasty. 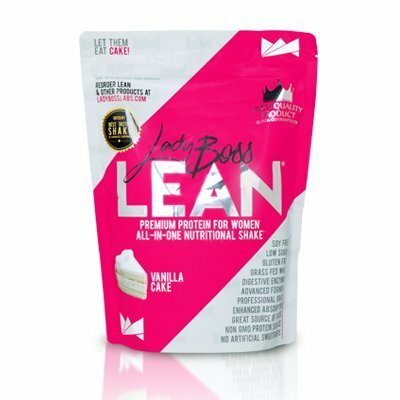 LadyBoss Lean shakes are different from the rest because they are delicious. In fact, many people like the fact that they can drink it without adding anything to mask undesirable flavors. If you are worried about consuming gluten and/or soy, you are in luck. This product does not contain either ingredient. It contains whey protein and non-fat milk powder, so there is some dairy involved. In addition, it has maltodextrin and fructose, which could be a problem for people who have health issues that require them to limit their sugar intake. There is something inherently wrong with paying a bundle for protein powder and you are only able to make a handful of shakes. This is not the case here at all. Each bag of protein powder will make as many as 30 shakes. You can replace one meal every day for a month before the bag runs out. Many Amazon customers have reported that this is a great tasting shake that offers great value since each bag contains so many servings. It has a very pleasant taste, but it is a bit on the sweet side. Now that you know what to expect from this product. it is time to decide. You have to figure out if this has all of the benefits you need, or if something else would be a better option. There are plenty of complaints (some of them are not resolved) on BBB, Ripoffreport and discussion forums. If you post any negative feedback on Facebook page they delete it immediately and ban you from using the group. LadyBoss seems to be working very hard to keep her reputation up. People who file complaints with BBB are getting response and resolution. I wrote about various type of diet pills scam earlier. LadyBoss runs similar deceptive free trial offer. Once you pay for shipping charge of free sample, you will be forcefully enrolled into monthly auto shipment program. The site might have fraudulently enrolled you into other products as well through deceptive information. Many customers have complained that more than $200 is taken from their bank account/credit card every month. If you send email with cancellation request, they ignore it for many days. If you call the support number, you only hear pre-recorded voice with some assurances. Filing complaints with BBB seems to be only option. You can read genuine customers feedback on this Facebook page. The official website is not even disclosing how much it costs. That is because they want to collect your contact information first then upsell variety of products. The other intention is to make you enroll into online membership which renews automatically after 7 day trial period. It cost about $69 on Amazon for one month supply. You can save about 5% if you choose monthly subscription which brings down the price to $65.55. 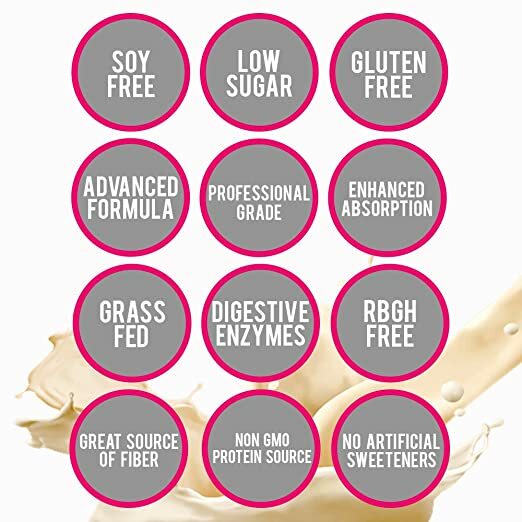 LadyBoss Lean is a reasonably good meal replacement protein shake powder. However, it is promoted through unacceptable marketing tactics like deceptive free trial offer, forced membership, dubious-customer service etc. If you want to give it a try I highly recommend that you buy it from Amazon. Stimamine-150 Review : Banned Ephedra Alkaloid Pill?